The warm weather and the lack of snow around the Vail Valley isn’t getting us down. 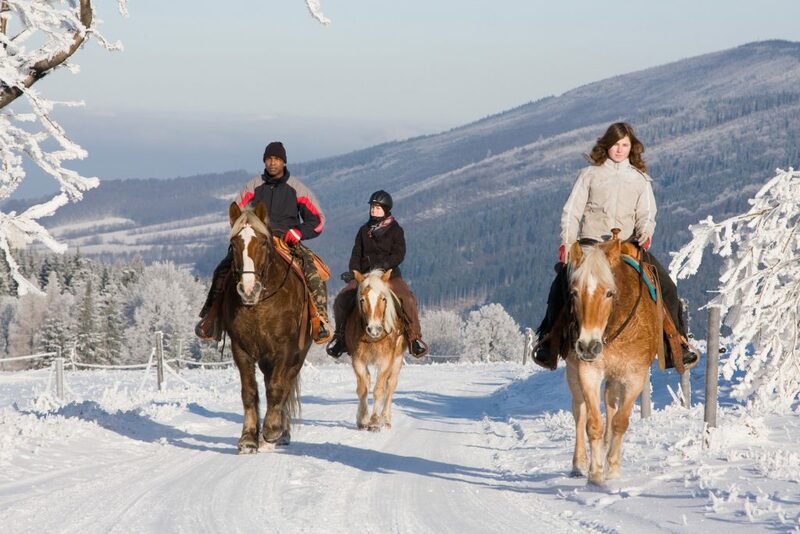 In fact, we’ve decided to offer some incredible, winter horseback rides! Normally a summer activity here at Sage Outdoor Adventures, we are bringing back our horseback rides for some awesome midwinter mountain adventures. We’ve been getting daily requests for winter horseback rides, so we have decided to do it. 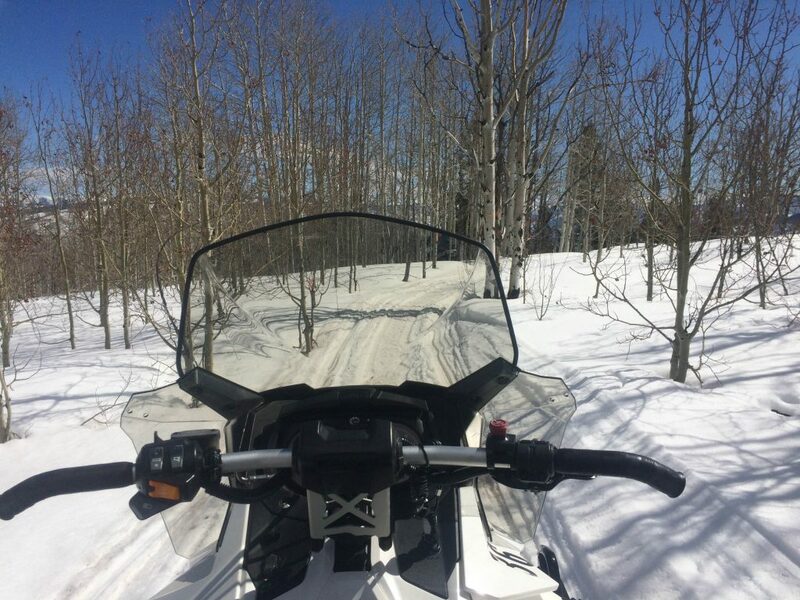 Like our summer horseback rides, these trips will be on our beautiful trail system along streams, lakes, sage flats, through snow-covered aspen groves and stands of old-growth timber. If you enjoy horseback riding in the summer, you will be enthralled with a winter exploration of the Colorado backcountry on horseback. With snow on the ground, the cottonwood creek bottoms and aspen groves are stunning. 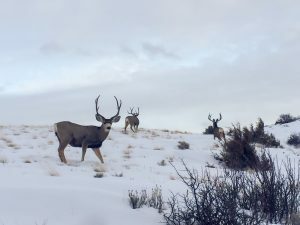 The low snow level has allowed wildlife like elk, deer and coyotes to remain on the ranch in abundance where they are highly visible to our guests. Guests should dress warmly in their ski clothing, just like you would be going skiing for the day. We will offer small, intimate groups of six horses or fewer. 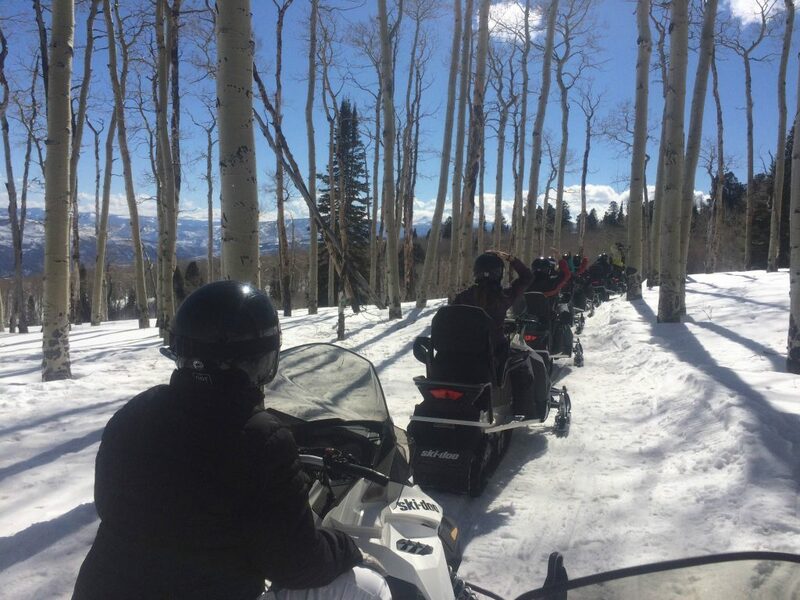 The rides are 1.5 hours long and we provide transportation to and from Vail and Beaver creek, included in the cost of the trip. If you love mountains and you love horses, this trip is for you! To reserve your midwinter mountain horseback ride please call us at 970-476-3700 or send us a message. See you on the mountain soon! 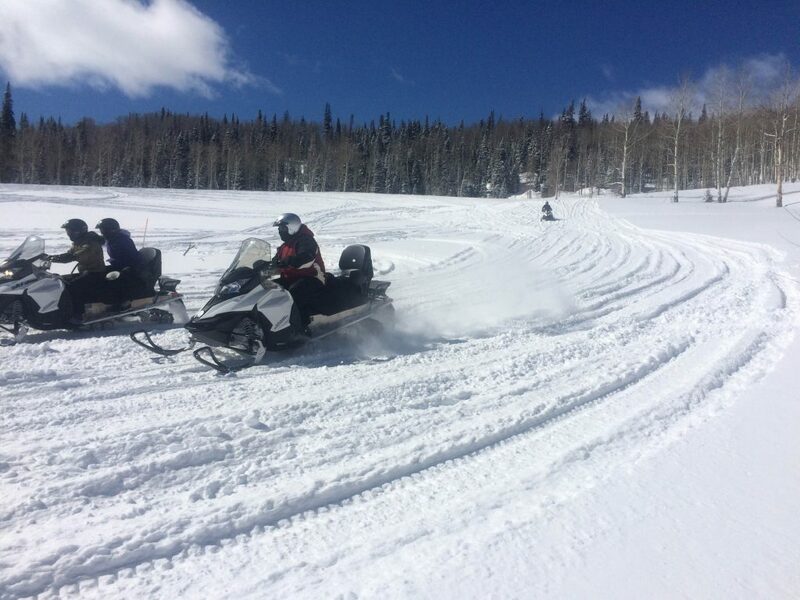 If you’re visiting or soon to visit the Vail Valley this holiday season, you may already be aware that the weather here has provided some unusual circumstances. 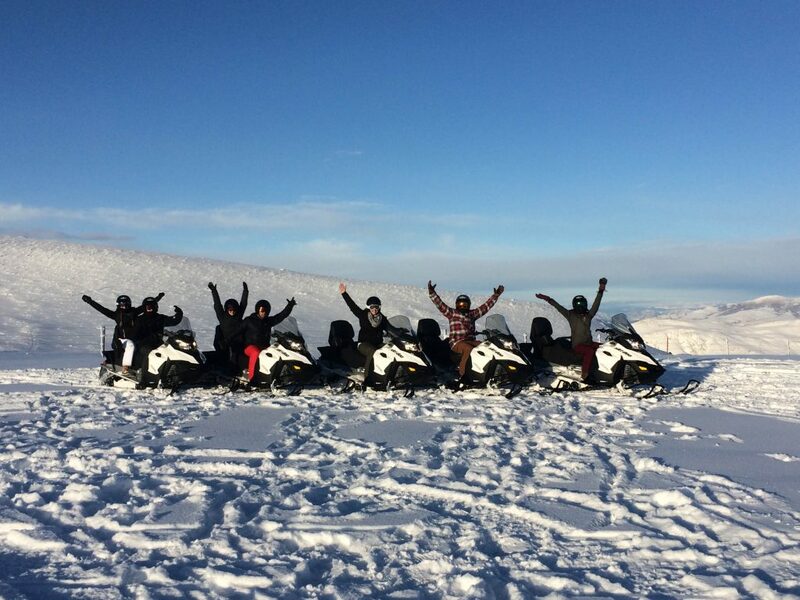 Rather than snowmobiling this time of year, we are still enjoying some awesome side-by-side ATV tours and December wildlife adventures. We finally received a little snow on the ranch this week. 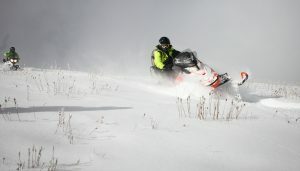 But it’s not enough yet for snowmobiling. But there is one neat benefit to this shallow snow cover through the woods and on our trails…it’s perfect conditions for studying wildlife tracks. The mild weather this month means that deer and other wildlife have not yet migrated further down the valley floor. Wildlife is still on the ranch in abundance. 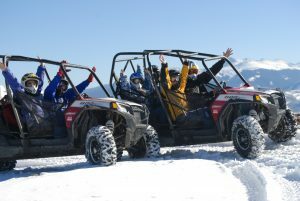 And the light snowpack has proven to be a fun discovery for our guests. “To us, it is an open book of what’s going on, 24 hours a day,” said Sage founder Darryl Bangert. “We’ve been able to clearly see deer, does and their fawns meandering as they feed then bed down for day or night. We’ve followed the tracks of big bull elk traveling through the area. And we’ve even found mountain lion tracks as they stalk, chase, and capture deer. At first glance, December in a ski town without much snow might seem like a drag. But these last few weeks have provided a rare opportunity to enjoy the mountains in a different way. While we’re looking forward to getting on those snowmobiles, these unusual wildlife adventures have certainly been a pleasure. And as is typically the case, when one month is more dry than normal, another month will usually make up for it. 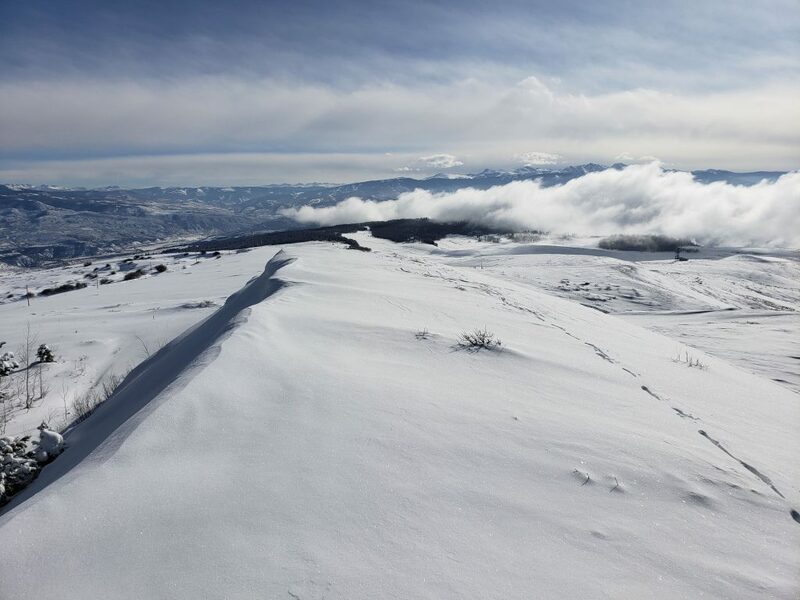 Last winter also began with little snowfall, but ended with the highest snowpack in several years. The snow will come. In the meantime, we’ll be enjoying the mountains on four wheels! 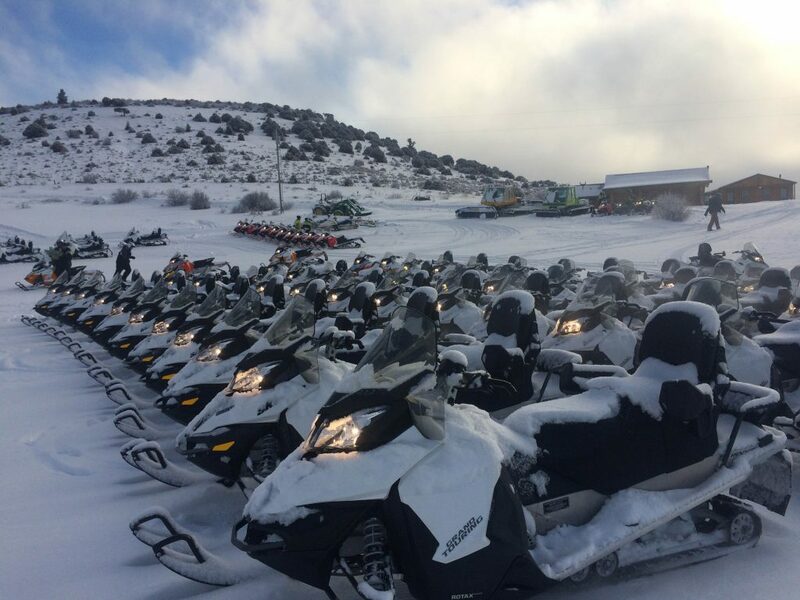 For more information on side-by-side ATV tours or (upcoming) snowmobile tours with Sage Outdoor Adventures, please contact us or give us a call at 970-478-3700. 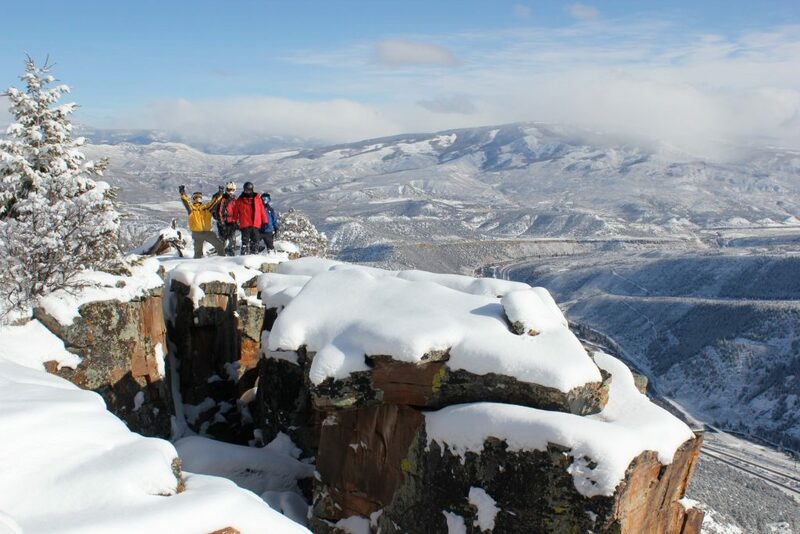 We look forward to helping you plan your next Colorado backcountry adventure.